Use promo code Harmony for $22.22 OFF your ticket purchase! Put "Harmony" in the comments for your discount. 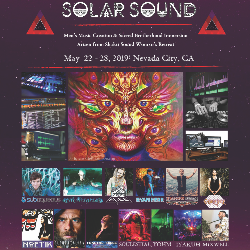 An Electronic Music Creation & Sacred Brotherhood Immersion arisen from Shakti Sound. 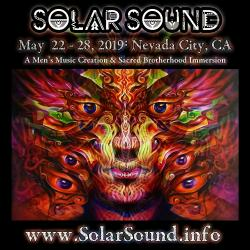 This is a call to all creative musically motivated men: Are you ready to board the sonic spaceship? Then this is the immersion your soul has been searching for. We are a collaborative team of established electronic music producers and DJs cultivating a container for growth and creation in both music production, and the way we show up in life, in a deeply immersive environment. We offer rich and diverse content that provides skill-based training, personal empowerment and transformational classes. On a technical level you will learn basic and intermediate skills in Ableton 10, Logic X, Serato, and Traktor, how to get clear on what you want to create, the recording process, the story arch, how to make various styles of electronic music and beats, how to work with sound design, arrangement, how to mix and master your tracks, creating a story-arch in your songs, music as a life path, and all the Jedi skills you need to become a badass musical Jedi. This is also a men's transformational gathering. You will learn skills for building confidence and overcoming blockages as a man, how to showcase your personal message in your music, business and marketing, tools to stay productive and creative, and how to create the stage presence and storylines needed to deliver your message and energy effectively. We symbolize brotherhood and masculine synergy in a way that many of us have never experienced before. You are in for a deeply transformative experience. We are men of many different backgrounds coming together to represent inclusivity and shared purpose. We strive to create a strong, supportive network of conscious creators, who move beyond competition, and into an experience of being a part of the greater movement. This immersion will be occurring simultaneously to Shakti Sound, and all Womxn's music production immersion. We will discover, discuss, and practice ways to support, uplift, and show up for the Shakti. We will dedicate time in this immersion to ways that we can support Womxn producers in the music industry, and ways we can support the embodied creative Goddess as embodied creative men. In partnership with Shakti Sound, we are creating a movement that prioritizes accessibility and representation of many cultures, demographics, and backgrounds in our training. Prices will rise on April 20th! The earlier you sign up, the more we can focus on making this immersion as optimal as possible!